I took a whirlwind trip to the Craft and Hobby Association trade show this weekend. I have tons to show you from there soon. For now I am continuing with Craft Lightning. I missed my round up yesterday due to being on a plane most of the day but today you get two round ups in one. I am also looking for YOUR projects to feature. 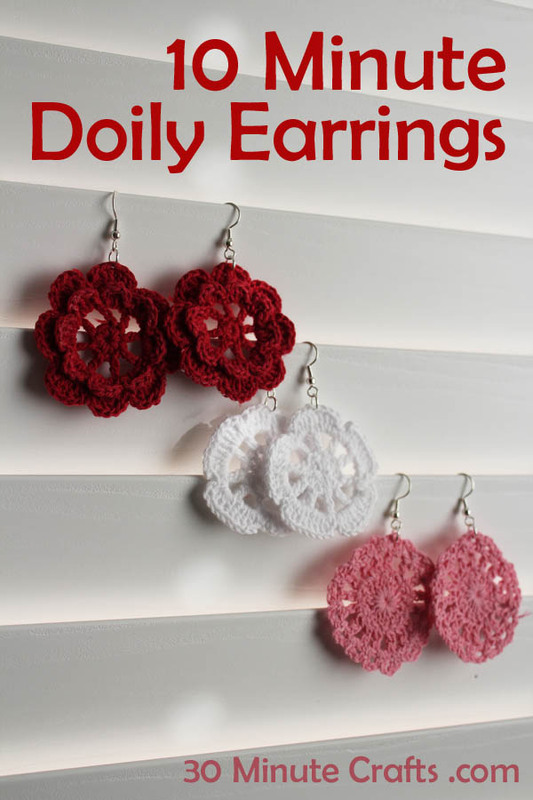 Head on over to the Craft Lightning linky party and link up your 15 minute Valentine’s Day crafts. If you have missed any of the fun this week be sure to check out the round ups from day 3 and day 4. 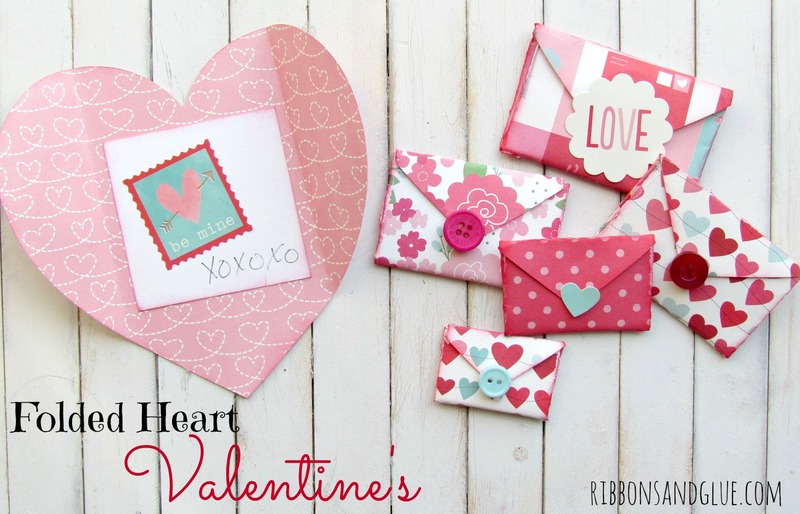 First up is Ribbons and Glue and these oh so clever folded heart Valentines! I love that the “envelopes” open to reveal a huge heart. 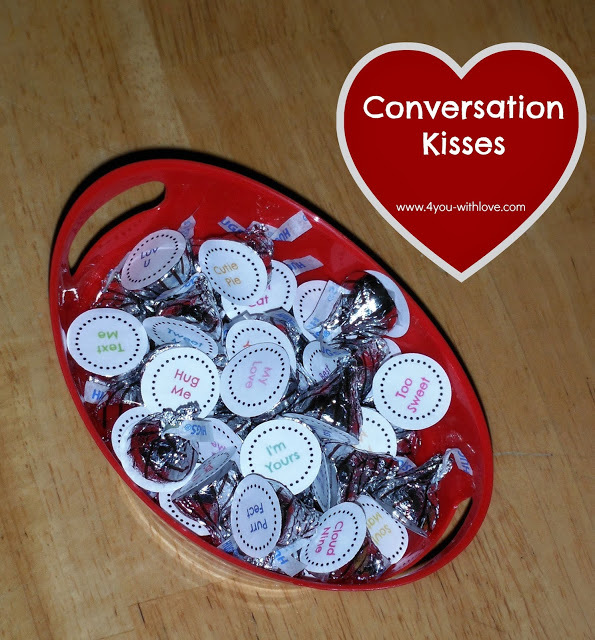 Grab an easy printable and some kisses to give out these conversation kisses from 4 You with Love this Valentine’s Day. This is a simple treat to send to school that won’t cost you an arm and a leg. 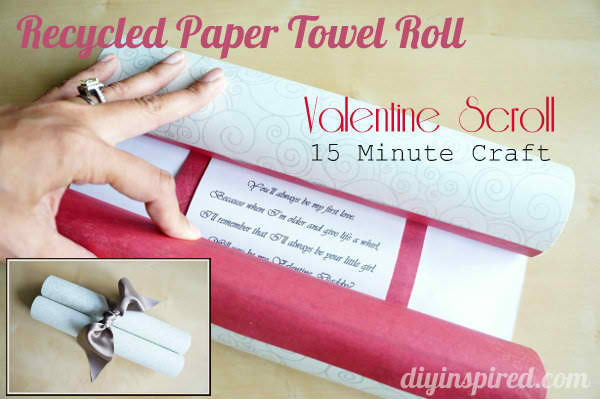 Recycle your paper towel rolls into a fun Valentine scroll with this tutorial from DIY Inspired. 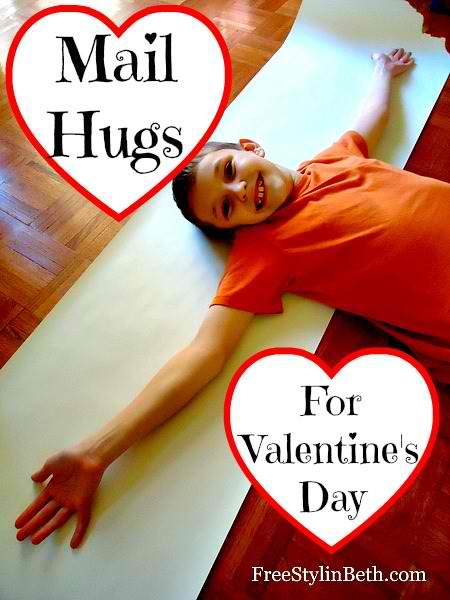 This rolled up message is easy to make and a fun way to show your love. 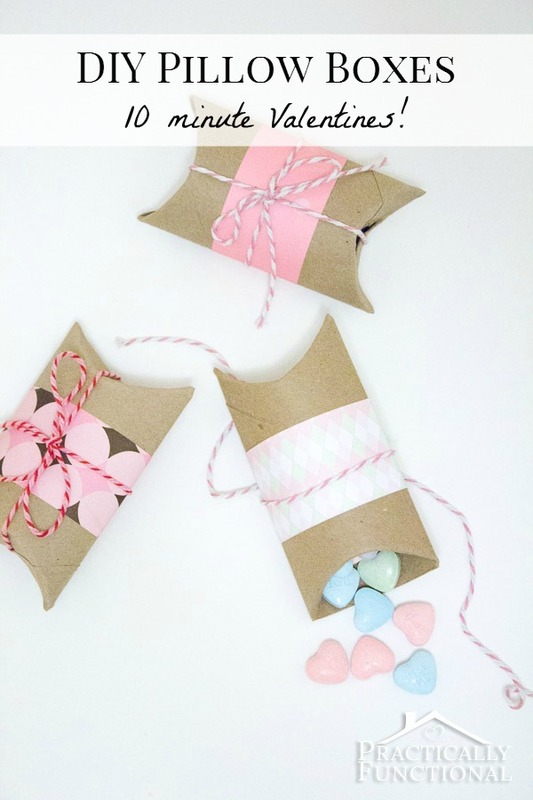 Continuing on with recycled Valentine’s Day crafts, start saving those toilet paper rolls to make DIY pillow boxes like these from Practically Functional. This is so clever and no one has to know that they are practically free. 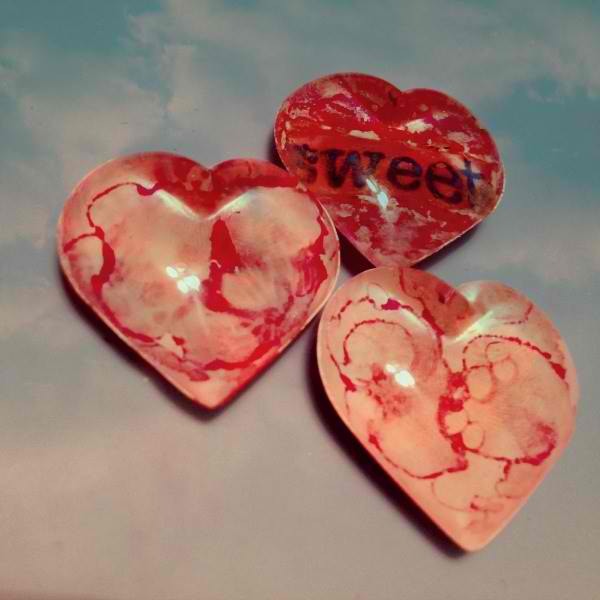 Grab your paint and make some cool conversation hearts either as gifts or as home decor. Get the full details from 365 Days of Crafts. 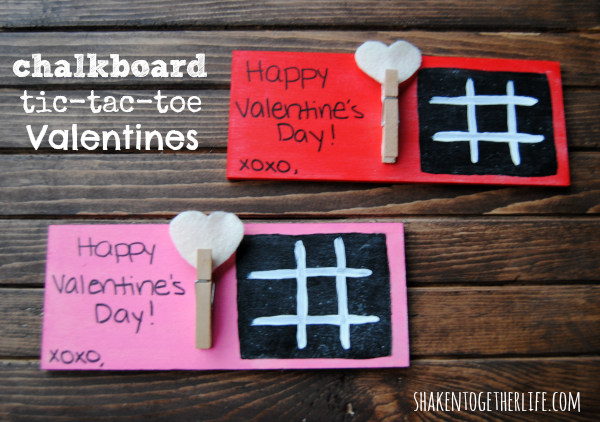 I love a unique Valentine and these chalkboard tic-tac-toe Valentines are just that. They even come complete with a mini heart felt eraser. I adore this faux wood grain heart frame from Organize and Decorate everything. Leanne said the paper she used is wrapping paper. I think I need a ton of it! What do you send for Valentine’s Day to far away grandparents? Why mail hugs of course! Learn how to make a fun project with your kids from Free Stylin Beth. 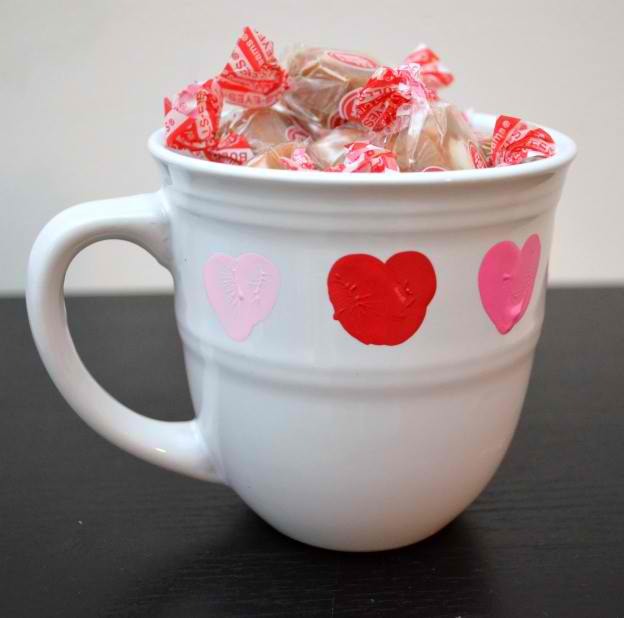 Another super sweet gift that involves the kids is this thumbprint heart mug from One Artsy Mama. Thumbprint hearts on a mug? Adorable! Our linky party features for the past two days are amazing as well. 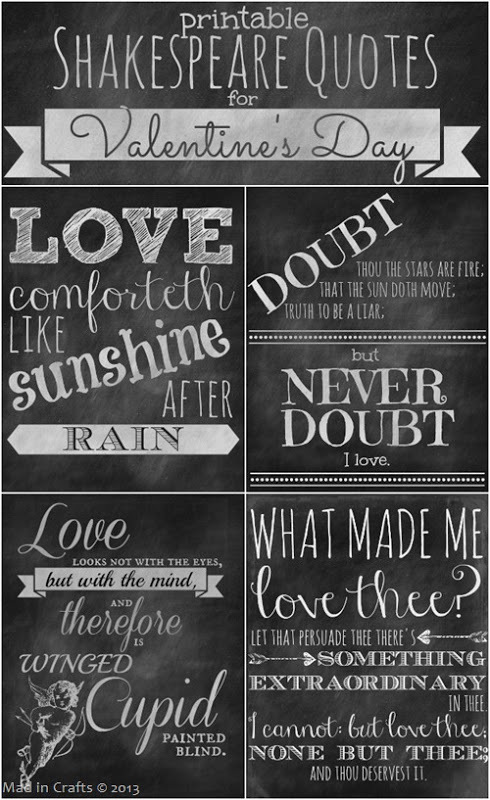 These printable Shakespeare quote Valentines from Mad in Crafts are awesome. I love that they look like chalkboards. Be sure to print your own. 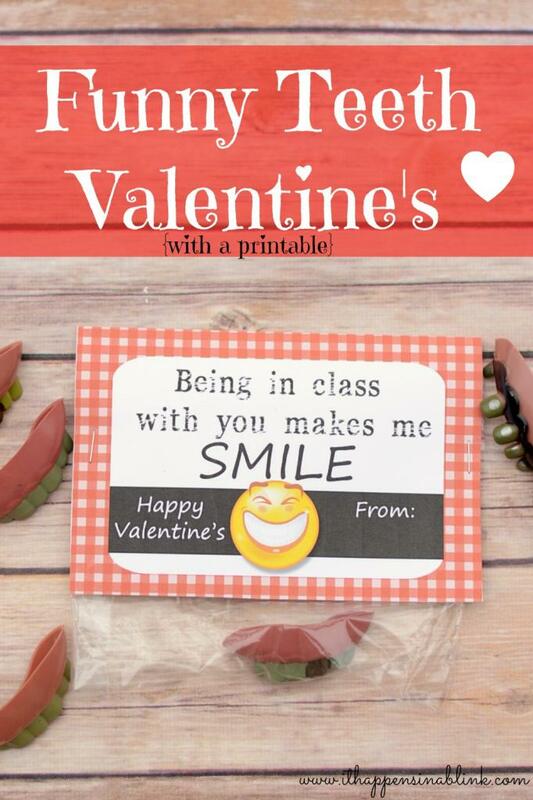 The other linky party feature are these funny teeth Valentines from It Happens in a Blink. It doesn’t get any funnier or cuter than these! My partner for this series 30 Minute Crafts started the week with these fun doily earrings. I can tell you first hand that she has gotten tons of compliments on these! Plus you don’t even have to knit or crochet. How? Head on over and find out. 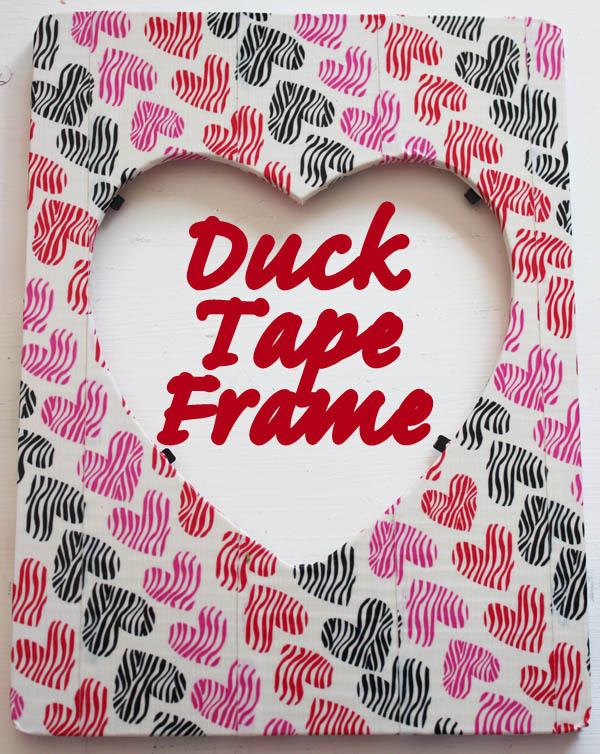 Today Carolina from 30 Minute Crafts shared a fun Duck Tape frame. You gotta love duck tape right? Any craft with it is a quick one! 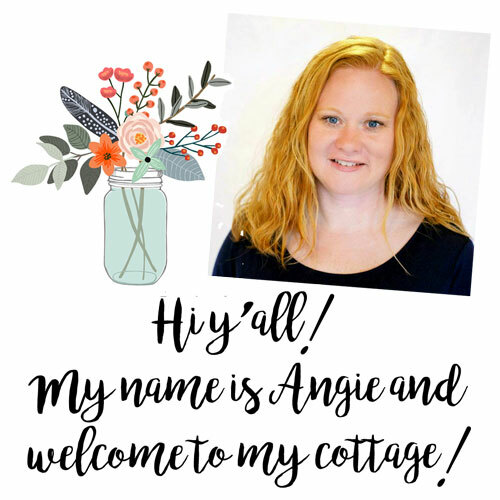 I kicked off the week with my DIY mason jar necklace. 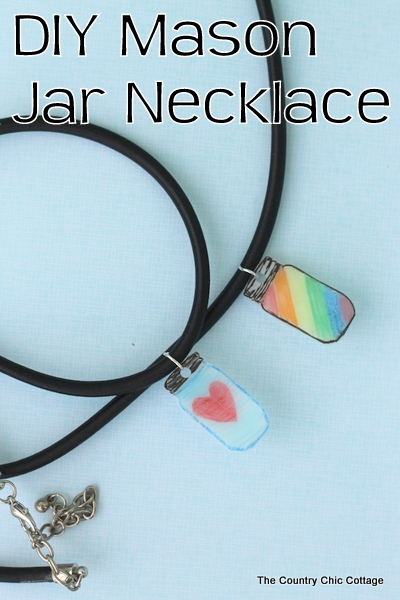 Use shrink plastic to make a fun mason jar necklace for your Valentine. Today I posted my quick and easy Valentine’s Day cards. 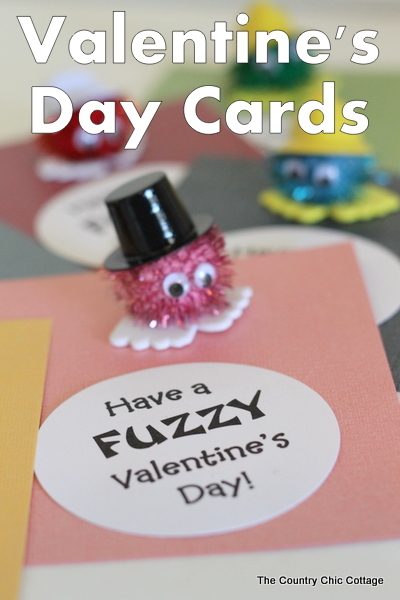 I love my “fuzzy” Valentines! Stay tuned all week for even more quick and easy crafts for Valentine’s Day. We have many more projects in the works to inspire your creativity. 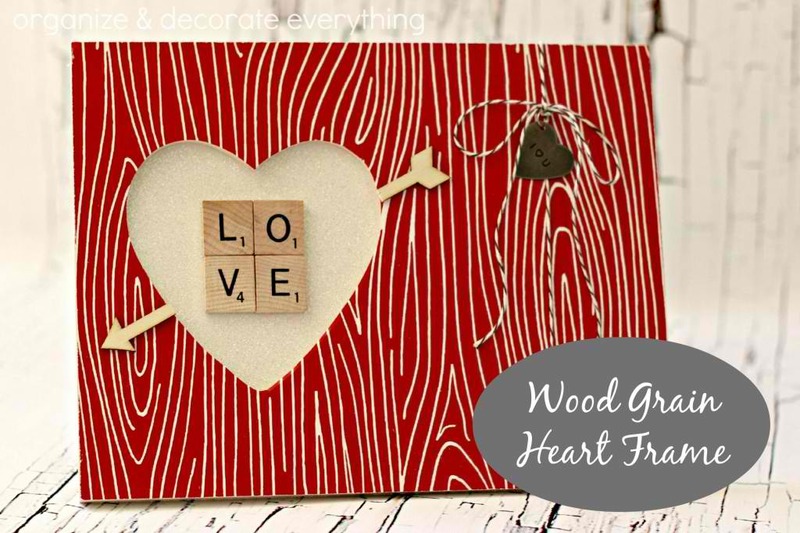 previous post: Handmade Valentine’s Day Cards — quick and easy! Those envelopes are darling, love them!